This year focuses on Spanish talent, looks to Europe, explores Arab culture, discusses issues such as the role of women in the arts, the future of the media, and particularly reporting on culture, as well as providing an opportunity to meet leading contemporary writers, thinkers, and artists. Taking part will be writers Antonio Muñoz Molina, María Dueñas, José Manuel Caballero Bonald, Jessie Burton, Sadie Jones, Tim Bowler, Emmanuel Carrère, Alaa Al Aswany, John McHugo, Rafael and Santiago Roncagliolo, Juan Villoro; artist Harland Miller; philosopher A. C. Grayling; former British deputy prime minister Nick Clegg; lawyer Miriam González Durántez; filmmakders Rosa Bosch and Angeles González-Sinde; and art critics Rosa Martínez, among others. Journalists such as Juan Luis Cebrián, Bieito Rubido, Pedro J. Ramírez, John Ridding, Anne McElvoy, Jorge Lanata, John Hooper, Mark Skypworth, Martin Chilton, Antonio Lucas and the editors of the most important arts sections join this cultural and artistic fiesta. (Madrid, 28 July 2015).- The HAY Festival Segovia celebrates its 10th anniversary, marking this historic occasion with a varied and full programme over the course of 10 days, from inauguration on September 11, and then from September 19-27. This year focuses on Spanish talent, looks to Europe, explores Arab culture, discusses issues such as the role of women in the arts, the future of the media, and particularly reporting on culture, and provides an opportunity to meet some of Britain’s leading contemporary writers, thinkers, and artists. The festival will be inaugurated by Spain’s international best-selling writer María Dueñas, in collaboration with the Fundación Lara, and will be closed by singer-songwriter Marwan, who will perform some of his songs and talk to Spanish journalist Benjamín Prado about his work. For 10 days, Hay Festival Segovia will provide a window on the world and an opportunity to hear what some of the leading figures from the arts scene have to say. On Saturday, 26 September, Europe will take centre stage at the Hay Festival. 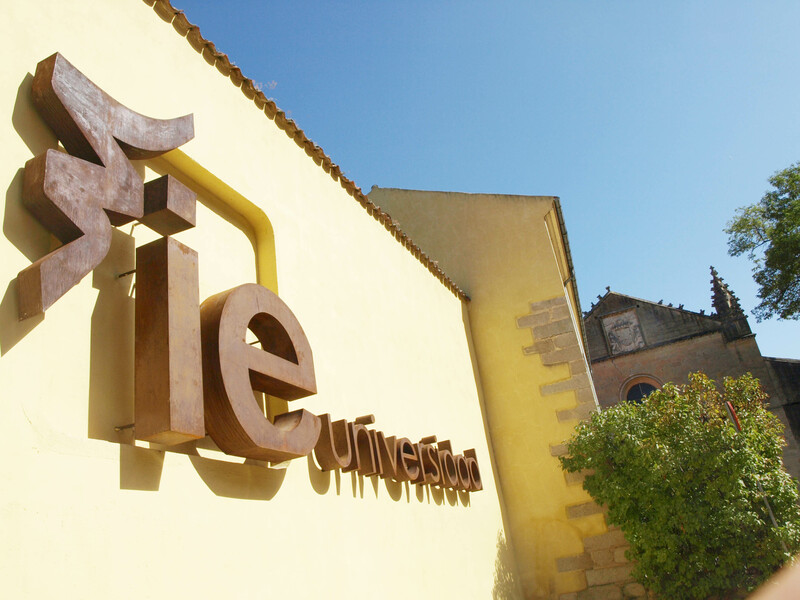 Four discussions organized jointly with IE University will look at politics and society within the EU, the role of women, the future of the media, and how Spain and the Spanish are seen in Europe. The Aula Magna of IE University will be the setting for a conversation between Nick Clegg and veteran Spanish journalist Pedro J. Ramírez, founder of leading newspaper El Mundo, and now setting up his own digital daily, El Español, on events in Europe, Spain, and the UK over recent years. Miriam González Durántez, a Spanish lawyer involved in the Inspiring Women campaign in the United Kingdom, along with Anne McElvoy, Senior Editor at The Economist and a specialist in covering global health, education, and welfare policies, will discuss the role women are playing in 21st century public life. Change is sweeping the global media, driven by the new technologies. John Ridding, CEO of The Financial Times, recently bought by the Nikkei group, will discuss the future with Juan Luis Cebrián, founder of El País and president of Grupo Prisa, Diego del Alcázar, founding president of IE Business School and former president of the Vocento Group. correspondent and author of a German-language guide to understanding the country; and Giles Tremlett, The Economist’s correspondent and author of The Ghosts of Spain. Once again, with the collaboration of the British Council, the HAY Festival’s global partner, a long list of some of the United Kingdom’s leading thinkers, writers, and artists will be coming to Segovia in September. Among the highlights will be Sadie Jones, author of The Outcast, which has just been adapted by the BBC for television and radio; Jessie Burton, whose debut novel The Miniaturist has sold half a million copies; Tim Bowler, bestselling young people’s author translated into 30 languages; poet, playwright and presenter Owen Sheers; and Jay Griffiths, author of popular novels such as Pip, Pip, Wild, and A Love Letter From a Stray Moon. Visitors to the festival will also have the opportunity to discover the work of Harland Miller, one of Britain’s leading contemporary artists. He will be talking to Graham Sheffield, filmmaker and former Spanish culture minister Angeles González-Sinde. Miller’s installation The Sleep of Reason Produces Monsters will be on display at the Quintanar Palace. Aside from a range of international movies, this year’s festival will feature the BAFTA 2014 short film finalists at the Cárcel-Filmoteca de Segovia. Organized jointly with the French Embassy and the French Institute, and in collaboration with Air France, Segovia welcomes two of France’s leading writers: Emmanuel Carrère, one of the leading lights in French literature at the moment, and Maylis de Kerangal, author of Birth of a Bridge, which won the 2010 Prix Médicis, and Réparer les vivants, winner of the Gran Prix RTL-Lire. From Peru, Rafael Roncaglio, his country’s new ambassador to Spain and a well-established author, will talk to his son, writer Santiago Roncagliolo, each revealing his perspective on the Andean country’s recent history. Also visiting Segovia this autumn will be several of Mexico’s leading writers, among them Juan Villoro. Acción Cultural Española (AC/E), the publicly funded body tasked with promoting the country’s arts at home and abroad, will be hosting Trayectorias (Career paths), which will explore the work of some of the country’s leading artists. Pianist Javier Perianes will be talking to journalist Jesús Ruiz Mantilla; filmmaker Rosa Bosch, who has worked with Wim Wenders, Guillermo del Toro, and Terry Gilliam, discusses her work with Graham Sheffield, the British Council’s artistic director, while Spanish writer Antonio Muñoz Molina and British thinker AC Grayling will explore some of the main strands of contemporary culture. HAY Festival Segovia this year turns its attention to how the media covers the arts. In attendance to discuss issues such as how technology is changing the way culture is reported will be Bieito Rubido, the editor of Spanish daily ABC, Fernando Rodríguez Lafuente, the editor of ABC Cultural; Blanca Berasátegui, editor of El Mundo’s arts supplement El Cultural, and Berna González Harbour, editor of El País’ Babelia supplement, will join other leading journalists such as Jesús García Calero from ABC, Antonio Lucas of El Mundo, and Mark Skypworth and Martin Chilton of The Daily Telegraph, among others. Argentinean journalist Jorge Lanata, founder of Página 12, one of the country’s most important newsp apers, will be discussing events in his country over the last three decades.